Years ago, I started creating a series of mini albums called "You and Me". My albums document the love story I share with my husband. We're high school sweethearts, so the first book goes all the way back to the 80's...yikes!...maybe I should post pictures of that one on my blog someday :). 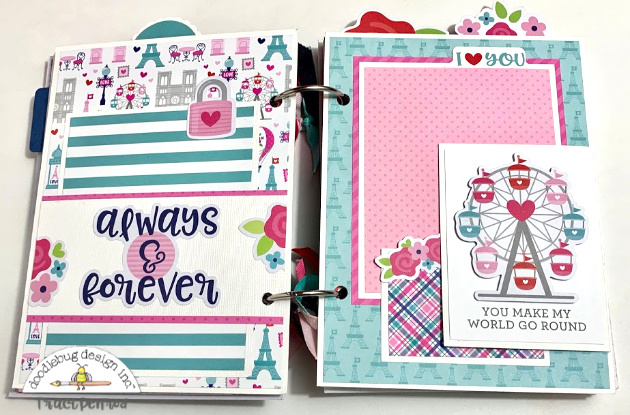 The French Kiss collection reminded me of those albums, and creating a new mini with these bright, adorable papers was so much fun. Here are a few pictures, but I did a video for you so that you could really see all the fun details. The cover is 4 layers of chipboard! I love a sturdy album and this one has some nice dimension. Those two cuties on the bike with that precious pup ... is that not adorable? 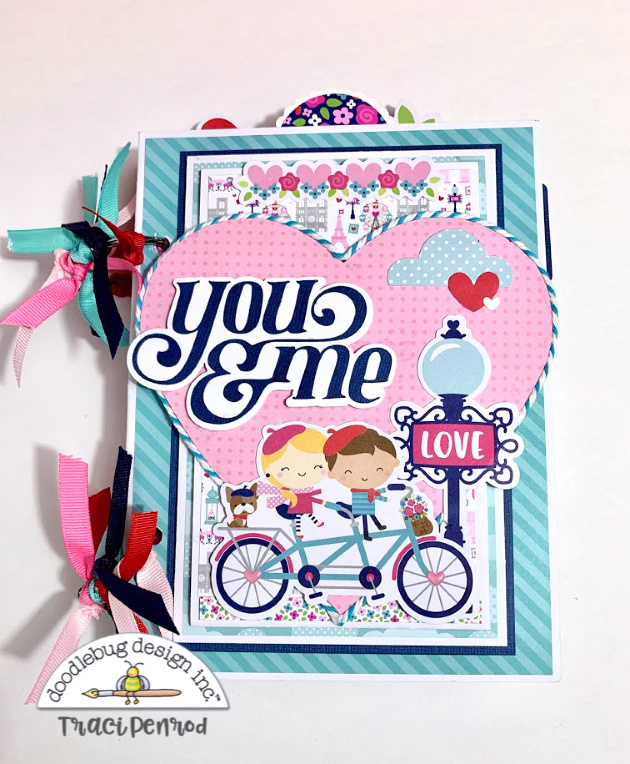 Doodlebug has the best die cuts. I added a few tiny heart sprinkles on the wheels for some extra cuteness, and I created the title with my Silhouette software. 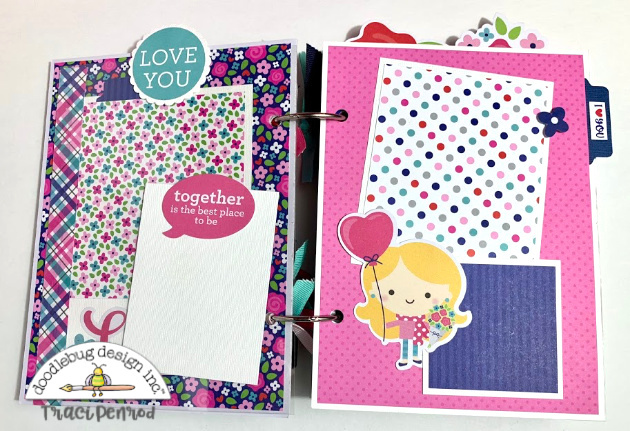 I used papers from the 6x6 pad and 12x12 size. I also added in some acrylic pages for a little something different. You can see these pages in the video below.And ... yes! this project is available as a DIY kit in my shop. Stop by my blog for all of the details. I absolutely love this!! SUPER adorable!! Thanks for sharing the video showcasing this lovely album.